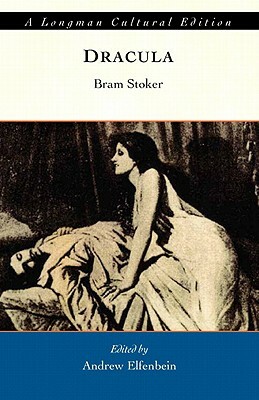 From Longman's Cultural Edition series, this new edition of Dracula, edited by Andrew Elfenbein, recovers the cultural complexity of Bram Stoker's novel and offers a wide array of contextualizing documents, including contemporary reviews and articles about Eastern Europe, science, gender, and media. Rather than tracing Dracula through all his later incarnations, this edition offers ways to understand the late Victorian origins of Bram Stoker's remarkable book. While Dracula never simply reflects contemporary trends, reading it with knowledge of contemporary events and debates can clarify what may otherwise seem puzzling. Throughout, Stoker emphasizes that his vampire story takes place not in a hazy, fictional past, but in a sharply realized England of the 1890s. The materials in the sections of Cultural Contexts illuminate the references to Victorian culture in Stoker's version of this seemingly timeless story. Andrew Elfenbein is the Morse-Alumni Distinguish Teaching Professor of English at the University of Minnesota. He works on 18th- and 19th-century British literature, gender and sexuality studies, the history of English, and cognitive approaches to reading.